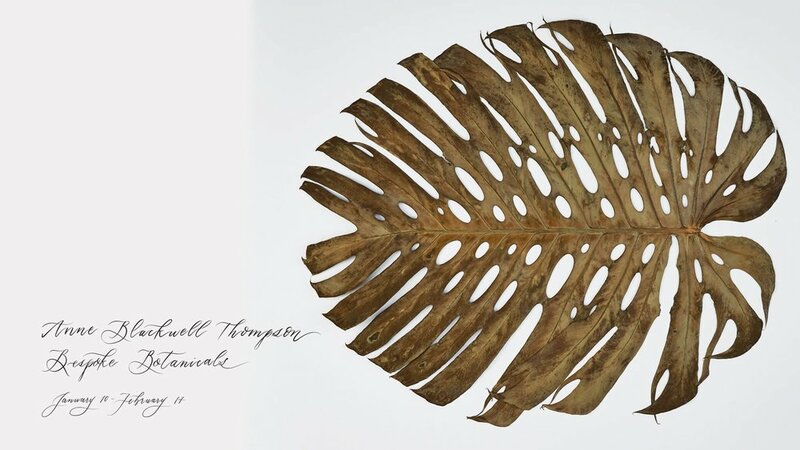 Anne Blackwell Thompson’s Main Gallery exhibit, "Bespoke Botanicals" will feature brand new pieces including rare plant specimens from Longwood Gardens. Lily pad, flower, seaweed, leaf – each specimen connects us to the bountiful and extraordinary world of botany. As a naturalist with a particular interest in horticulture, Thompson strives to embrace nature’s rich palette through harvesting plant material from country roads, private gardens and historical locations. Her mission is to connect the viewer with nature through pressing and preserving plants.